It was another controversial weekend that just ended. But I was expecting that, after The Academy drops their annual Oscar nominations, it always spurs controversy. The Academy is known for leaving glaring omissions on their ballots, and I was prepared for the worst. I was thinking about gathering my thoughts and writing a piece about this years surprises and snubs on the ballot, but something else happened. This year's ceremony seems to be shrouded in a different kind of controversy, and I have already talked this over with friends. I wasn't expecting to blog about it, because my feelings towards this will get a little political and I hate getting political on a personal blog. But I feel like this can't be ignored. Especially since there are two celebrities willing to boycott the Oscars because of their beliefs. I am speaking, of course, about the diversity (or lack thereof) in this year's Oscar nominations. It seems like lots of people were talking about how so many African American artists were left out of the nominations in all categories this year, and linked this to an abundance of white voters in the Academy. Okay, I can understand some people would have wanted to see more diversity in the categories. After all, "Concussion," "Straight Outta Compton," "Creed" and "Beasts of No Nation" are just four of the several movies released in 2015 that had good performances by African American artists. So why shouldn't the Academy recognize them? Why isn't the Academy more diverse with who it includes? I get it. But today really set me off. Spike Lee and Jada Pinkett-Smith plan to boycott and get others to boycott the Oscars because they are apparently too white. To that I say no, nada, balderdash. From a woman whose husband has been nominated for Oscars on more than one occasion, she should have known better. Are these two people really that desperate to be relevant again? I think the Oscars are many things, but what they are not is racist. Now I get some of the grievances brought up over the weekend. Do I think the Academy could benefit from being more diverse? Sure. I think diversity is a good thing for any business and any institution. Diversity means more knowledge and more passion from a different angle, I love it. I get it. But how exactly has the Oscars not been diverse? I would ask that of Spike Lee and Jada Pinkett-Smith, how are the Oscars not being diverse? Simply because no black performers are up for any of the awards this year? Did Mrs. Smith forget that her husband has been nominated several times in the past? Have they both forgot that Sidney Piotier, Hattie McDaniel, Denzel Washington, Jamie Foxx, Cuba Gooding Jr., Jennifer Hudson, Mo'Nique, Hallie Berry, Lupita N'yongo, Forest Whitaker and Morgan Freeman have all won Oscars in the past? Most of those actors have been nominated several times before their wins and several times after. The diversity doesn't stop there, Jewish People, Polish People, Italian People, Mexican People, Asian People, Indian People, and Spanish People have either been nominated or won Oscars in major categories. So again, I ask the question to Spike Lee and Jada Pinkett-Smith, how are the Oscars too white? The president of the Academy is a black woman and the host is Chris Rock this year, is that not enough? I think what is upsetting these two celebrities is the lack of black performers in any of the categories. Its not about diversity really, its about an under-representation of black performers. Okay, I can understand why that would bother someone...if it has been going on for years. It hasn't though, look at that huge list of black performers who have been nominated or have won. I didn't even name them all. Does the Academy have to nominate a certain amount of black performers in order to be PC? What if those performers didn't give the best performance of the year? I have seen "Concussion." I have seen "Straight Outta Compton." I have also seen "Creed." I think Will Smith, O'Shea Jackson Jr and Michael B. Jordan are all on top of their game in those movies. Are they top five best actor great though? I don't think I could agree. If that makes me an ignorant, racist bigot then I suppose I will tattoo that on my forehead, but its the way I feel. I would absolutely hate for Academy categories to fill up on black performers just for the sake of filling up on black performers. If five African American actors gave the five best performances of a given year, then I'd be all about them getting nominated. But nominating them just because of their skin color, seems crazy to me. Now, I don't think the Academy has to change. But I think the opportunities given to black performers needs to change. Why are black performers predominately given comedy roles or roles having to do with Civil Rights and slavery? Would it really be so outlandish to cast a black actor in a lead role for just an ordinary drama? Or science fiction movie? What makes "Star Wars: The Force Awakens" so shell-shocking is the casting of John Boyega. He isn't the comic relief in that movie. He isn't some grand metaphor for black struggle. He's just one of the heroes of the movie, and I can't explain how refreshing it was to see a black actor playing a hero without any sort of gimmick. There needs to be more roles like that one for black actors. We shouldn't put our black actors into a box, having them only star in historical dramas and comedies. Ironically, Spike Lee made a comment in a movie about the latter. Everyone should check out "Bamboozled," because its shockingly accurate. Its a movie that dares to call the black comedy a modern day minstrel show and its crazy what Lee gets away with in his script. I think its a relevant disservice going on in Hollywood, and if anything needs to change for race relations in show business, its that. But that has nothing to do with the Oscars. The Oscars have always been very generous in keeping their categories diverse every year, whether any of you care to analyze or not. That isn't the real problem the Oscars have. The Academy voters maybe rich and white, but more often then not they keep things diverse. They are also pompous film snobs who bring their own baggage and their own agendas to the voting pools. They don't vote by category with an open mind and an open heart on what really deserves the Oscar. They vote based upon that baggage and those agendas. The Academy has never been about the movies, and that's what really breaks my heart about the entire ceremony. Think about it. Think over all the recent winners and what they won for, then really analyze what those movies were about. Last year, Michael Keaton should have won Best Actor in Lead Role for his work in "Birdman." That was the best performance of the year by miles and a once-in-a-lifetime performance by Keaton. The Golden Globes saw that, but the Oscars? Not so much. Eddie Redmayne won for his portrayal of Stephen Hawking, a man with ALS. While Redmayne gave a great performance, he didn't out-do Keaton. But Redmayne won to spread awareness on ALS. That same year, Julianne Moore won for playing a woman with Alzheimer's. Again, its a great performance, but it wasn't the best of the year. But Moore spread awareness on Alzheimer's so she got the win. Any year that features movies about deep social and political issues get the awards at the Oscars. It doesn't matter if they are the best or not. Matthew McConaughey won for playing a man with AIDS, Sean Penn beat Mickey Rourke (the clear winner) in 2008 for playing a gay politician. When it comes to the Oscars, its about the issues the movies are about, instead of the merit of the skill and performance that made those movies worthwhile. Unless your name is Meryl Streep or Daniel Day-Lewis, you'll never just win based on having a powerful performance, you need to be in an important movie about a current social or political issue in order to receive the golden statue. There is also a specific type of movie the Academy looks for in nominations that really pisses me off. A movie has to be important, has to fit a certain mold in order to make a nomination. My girlfriend asks me all the time why fantasy, science fiction, horror, action or superhero movies are never represented in any of the major categories. While there have been exceptions (Lord of the Rings), the answer is that those movies are looked down upon. Don't ask why, I can't begin to understand the mind of a pompous film snob who makes up the Academy. Movies in those genres are frowned upon, like they can't be taken seriously. So they only end up in effects-driven categories. But the thing is that they can be in the major categories. You know why I love "The Dark Knight" and "Captain America: Winter Solider" so much? It isn't because of Batman or Captain America or The Joker or Bucky Barnes. Its because those are the two best movies about how our country has changed post-9/11. Those are the best movies about living in a culture of fear, about how attitudes change knowing terrorists are out there. Sure, "Oscar-worthy" and "important" movies have been made about these ideas, but they don't shine as bright as either of those superhero movies. Those movies are more than super-powered people beating each other up. They had real ideas and important thoughts on their minds. So why didn't the Academy salute that? Its because The Academy can't take them seriously and deem them unworthy. That to me is unfair. If a movie has something relevant to say, it shouldn't matter what genre it hails from. The nominations for each category shouldn't be limited to certain types of movies or certain genres, it should be a representation of the best things cinema had to offer that year. Importance and genre shouldn't enter into the equation, but somehow it does. And before you start telling me that Heath Ledger won for his portrayal of the Joker, let me ask you something, do you think he still would have won had he been alive? I am willing to bet big money that if Ledger never died, he would have never been nominated. Honestly, I think we got lucky that "Mad Max: Fury Road" got nominated for anything this year. So again, the Academy isn't racist. That's not bigotry on my end. That's not ignorance. That's not racism. Black performers are under-represented this year because that's just how things shook out. Let's not crucify the Oscars because of the appalling things that have happened in this country in recent years. Will Smith and all the other black actors were good this year, but not great. In fact, the only black actor that truly got snubbed this year was Idris Elba for his incredible work in "Beasts of No Nation." Everyone else? Meh. That's not the real problem. The real problem is that the Academy doesn't make picking and choosing nominees and winners based on the movies, and that needs to change. Yes, make the Academy more diverse. Yes, give black performers more opportunities to shine. I don't disagree. 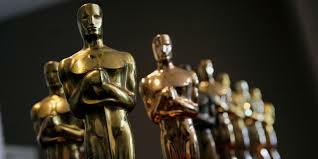 But more than anything, make a cinema award ceremony about the movies! I don't care what a movie has to say in order to enjoy, I am interested in how it says it. Too many bests have gone with no award due a movie with a chip on its shoulder. That shouldn't be the case. Whether they nominate white, black or blue people...make it about the movies. That's the real problem with the Oscars. But I regress, we mustn't forget that movies are art. Art is subjective. If you are getting into a huge tiff on the opinions of what a few film snobs have on certain movies, then you are taking everything far too seriously. So smile.